The high-performance, lightweight Lithos has everything hard-charging mountain bikers need to tackle the most demanding trails. Excellent coverage. Awesome high-speed and low-speed ventilation. And great usability, thanks to a removable and adjustable visor that gives 10-degrees of indexed tilt adjustment. 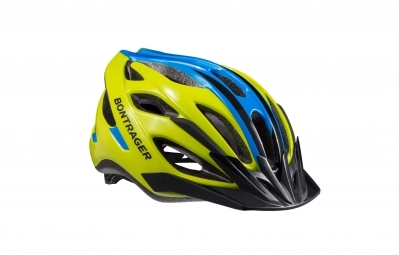 Casque Enfant BONTRAGER SOLSTICE 2015 Jaune/Bleu clasificado 4.3 de 5 por 12.